Juan Francisco is all out digital enthusiast. An idealistic when it comes to the power of technology and the internet, Juan has helped startups and large companies alike to use paid digital media to amplify and maximize their goals. 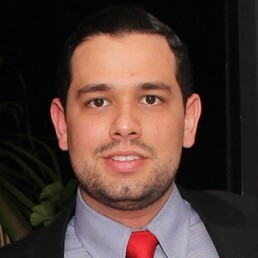 Juan Francisco has over seven years experience in the digital landscape, helping jumpstart startups with growth hacking strategies, designing customer journeys and defining micro-moments to plan their digital footprints. He started his career in digital marketing back in Venezuela, creating search and social media strategies for political campaigns. For the past 4 years, he has managed and supervised large retail clients with over $3MM monthly budgets with agencies focus on US general market as well as US Hispanic and LATAM. With a strong background in performance direct response marketing, Juan uses data and both qualitative and quantitative research to execute campaigns on Facebook, Digital Display, Search, YouTube and anything in between. On his spare time, he is an identical twin father and teaches Digital Media to young strategists in Miami Ad School US and LATAM, and have just been appointed as Dean for a joint venture between Google and Miami Ad School on programmatic media for Latin America and Miami.